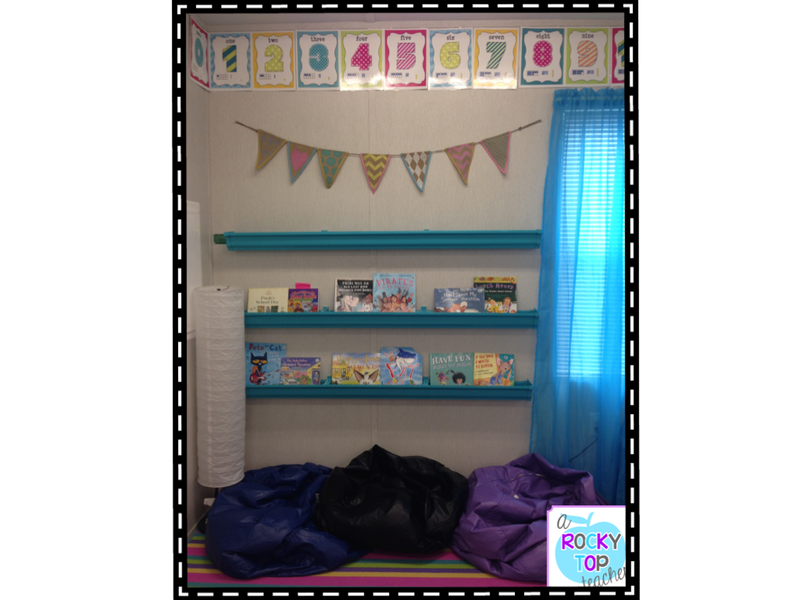 A Rocky Top Teacher: Monday Made It- Sprucing Up My Bookshelves! Hello friends! Happy Monday! 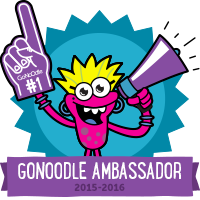 I am presenting at one of our summer staff PD sessions today on the technology tool Thinglink so I am probably a nervous wreck(sweating, shaking, and freaking out) while you are reading this. But...keep reading. I forgive you. I LOVE presenting. It is the best thing EVER, but I still get so dang nervous! 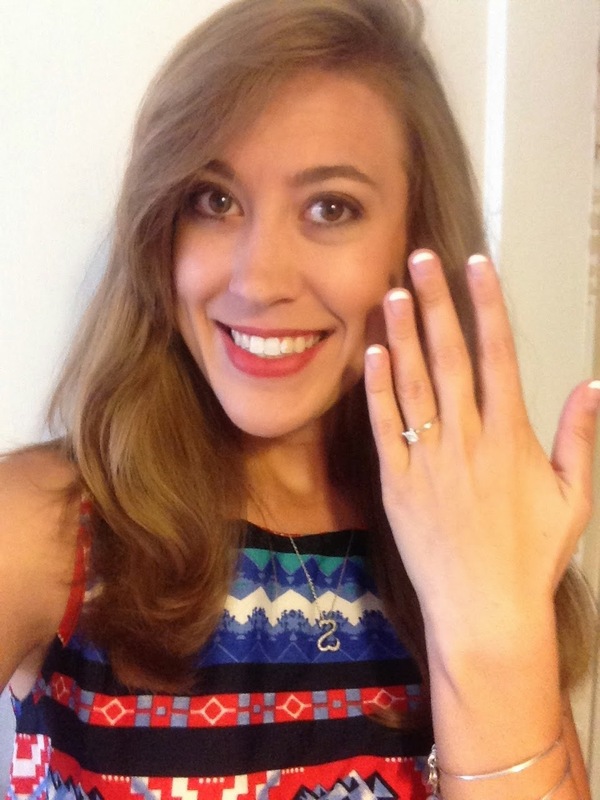 Ms. Young got engaged! Pretty excited! Last year as "Ms. Young"...is it weird that thinking about that makes me sad? It's a good sad though. 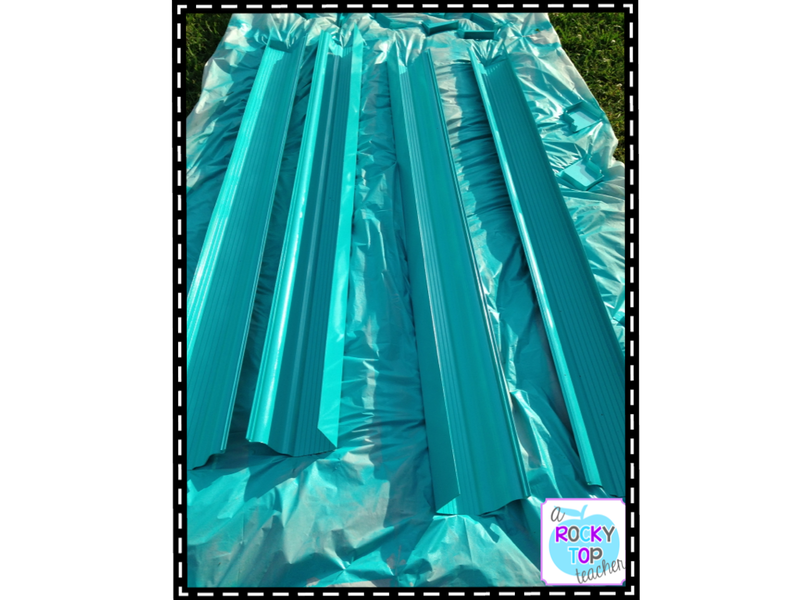 I am hopping on the blog today to share my rain gutter bookshelf makeover for Tara's Monday Made It Linky! I wanted a unique way to showcase books without taking up a lot of room. Last year, I had some rain gutters cut and installed in my room. 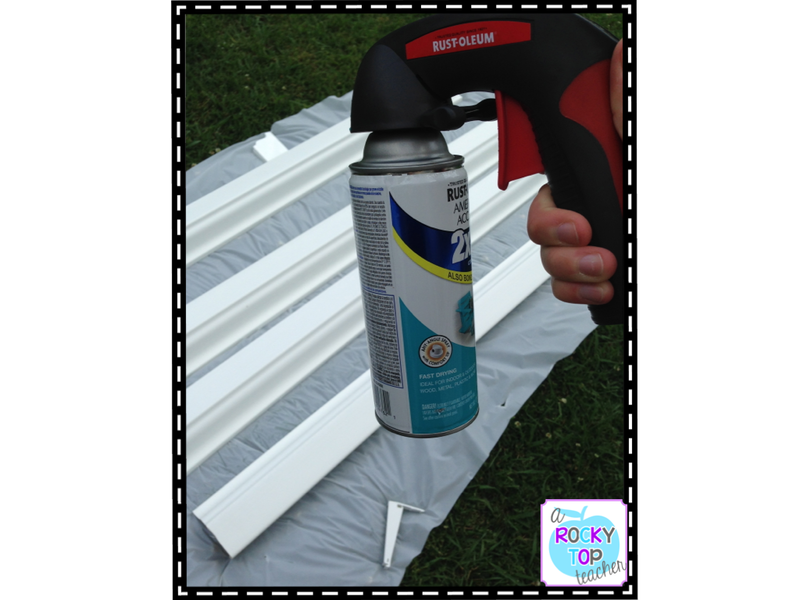 Then, I saw Amanda at Teaching Maddeness post about her "spray painted" gutter shelves. You can read all about them here. WELL, Amanda's just looked so darn cute that I decided that I had to paint mine. 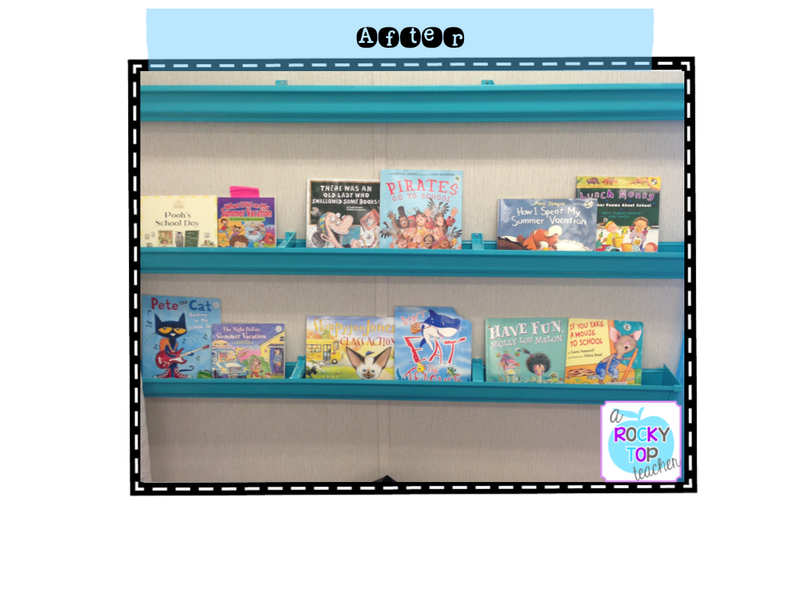 I don't do classroom themes, but I do have a general color scheme of teal/turquoise in my room so I decided that I would try that color for the shelves. I uninstalled those bad boys from the wall, laid them out on a cheap table cloth and entered into spray paint heaven. Spray painting is addicting. Do you own a spray paint handle thingie (what's the real name?)?? If not...go get one STAT. Don't do another project without it. I ended up doing two coats just to be safe. It was very easy and I am REALLY excited about how well they turned out. The pictures just don't do it justice. Here are some after pictures!! 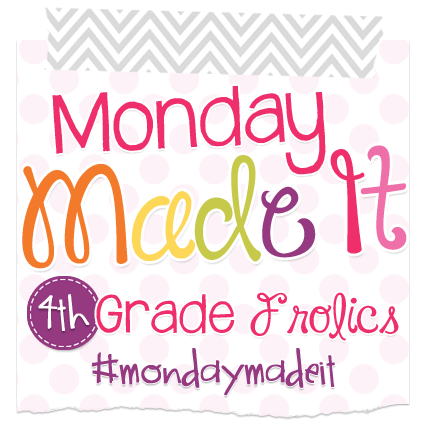 Can't wait to see what everyone is sharing this week! Congrats on the engagement! Your ring is beautiful! 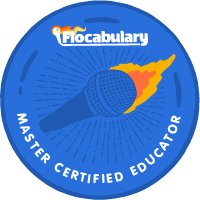 I also teach in East Tennessee!! Loving the new bookshelves' color. Thank you! We should meet up sometime! 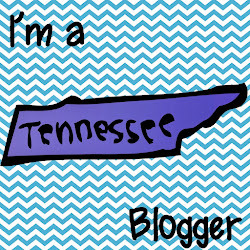 I think we need an East Tennessee blogger meet up!! 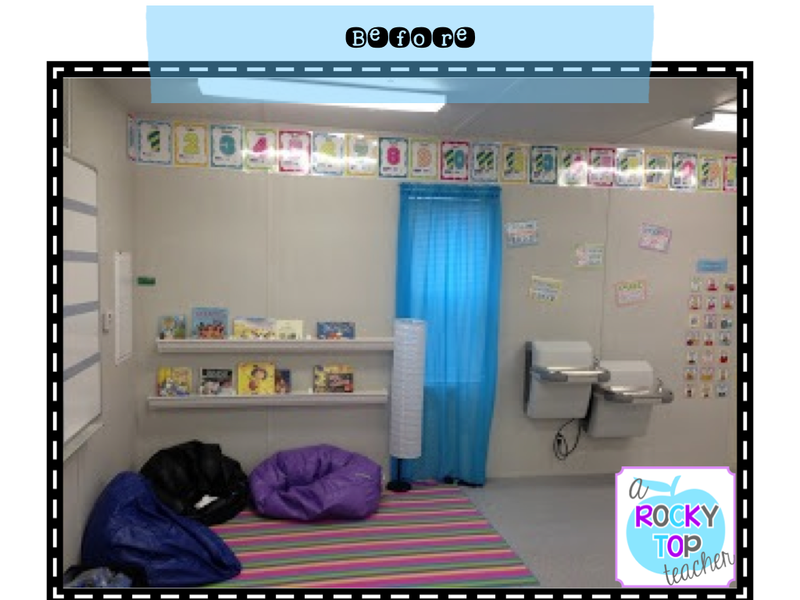 Congratulations and great work with the new, fresh, fun, colorful bookshelves! Congratulations on your engagement! I just got engaged last week!!! Love your book display. Very cute! Thank you so much! Congrats to you, too! Thank you! I love them! They add such a splash of color to the room. Loving the color on the bookshelves and still loving that ring!! Congrats on your beautiful ring!! I can't way to see the amazing things you plan for your wedding!! Your "new" bookshelves are amazing too!! I LOVE THEM!! I love your bookshelves. I've seen this idea on Pinterest. How did you hang them?